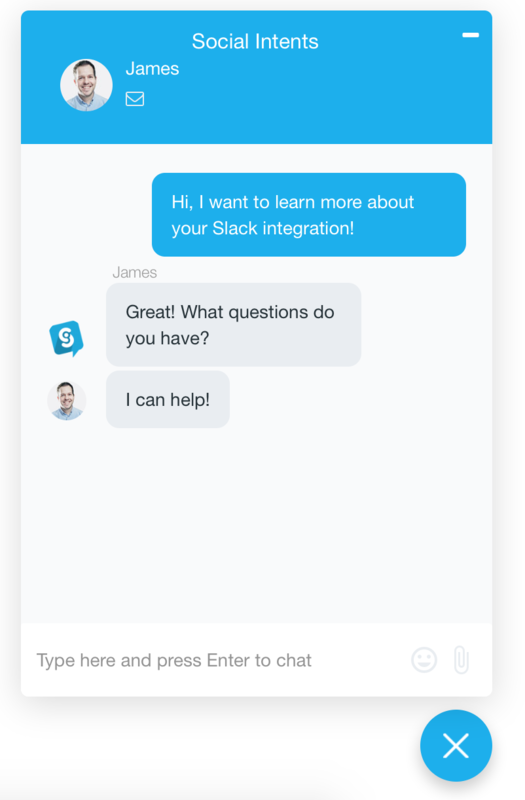 With our Slack integration you can answer live chats right from your Slack account on your mobile or desktop apps. 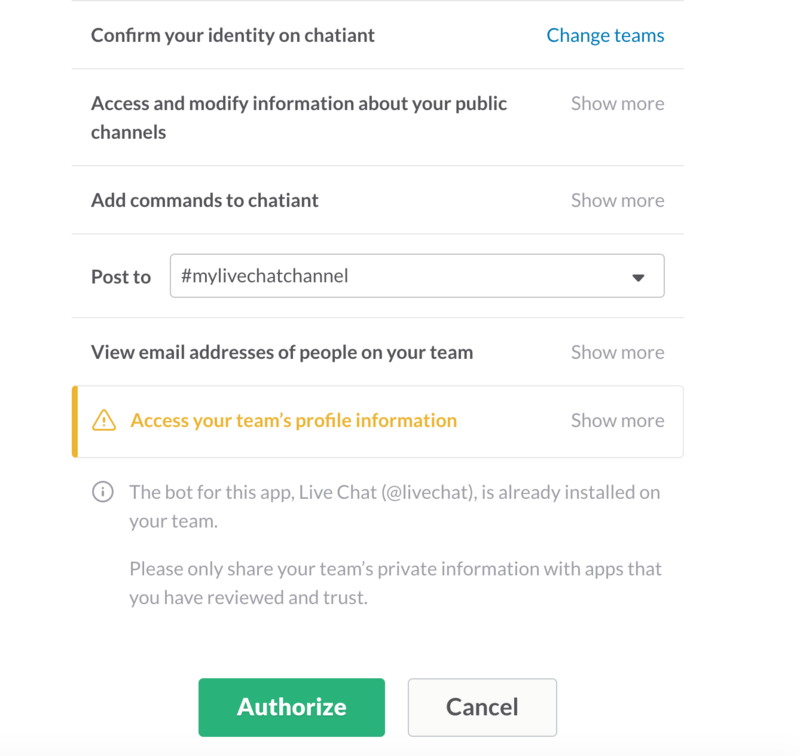 You'll receive push notifications on your phone for each live chat request and can chat from within Slack. 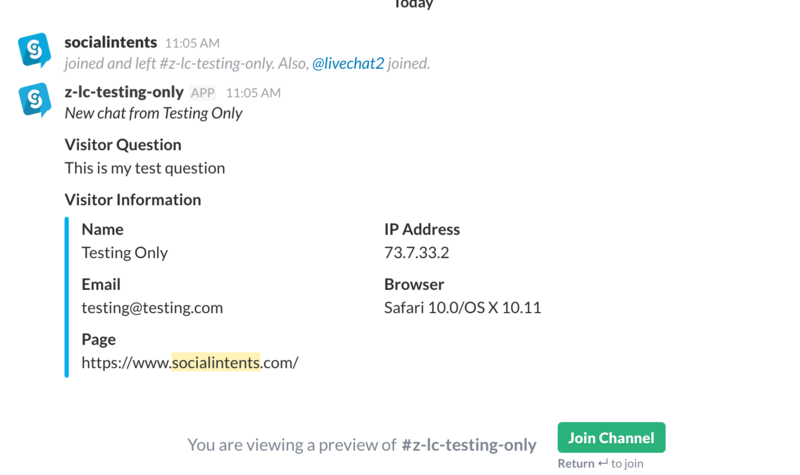 Next, Add Live Chat to your Slack Account from our Live Chat install page under Live Chat on our main site. 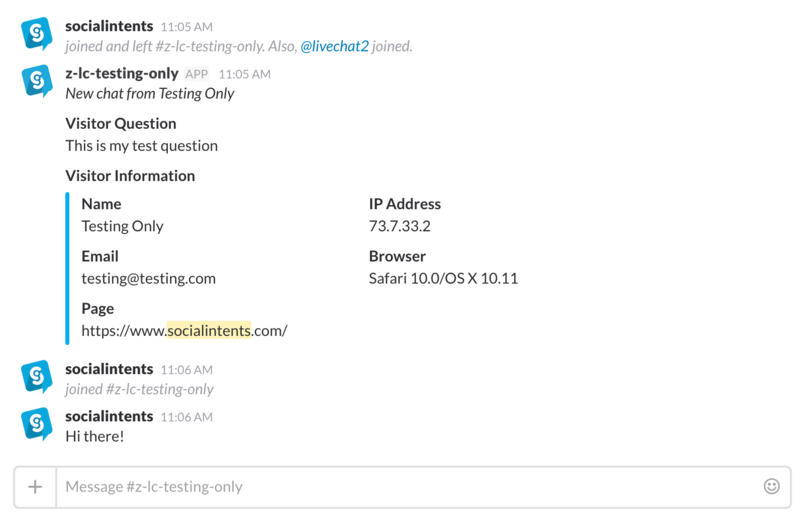 Go to our Slack Live Chat Page and click the Add to Slack button. Finally, you'll be directed back to our site where you new account account has been set up. 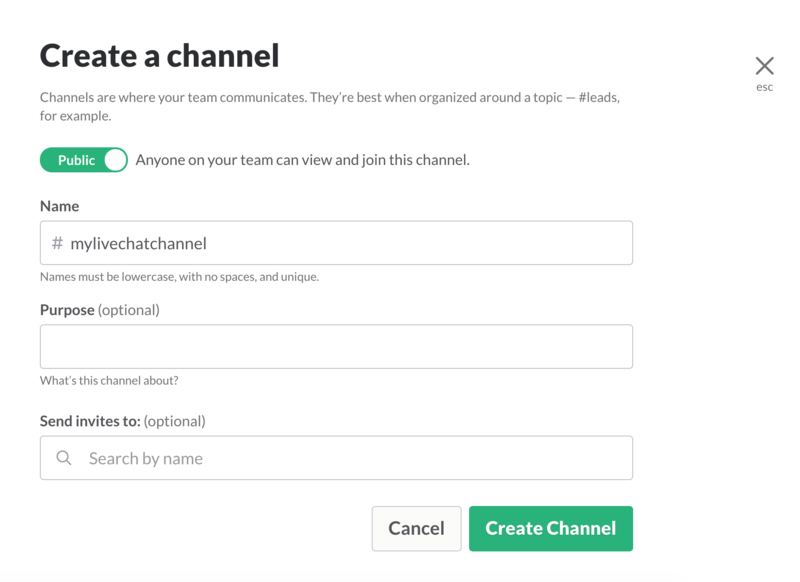 All of your team members who have visibility to the channel will be able to receive chat requests. 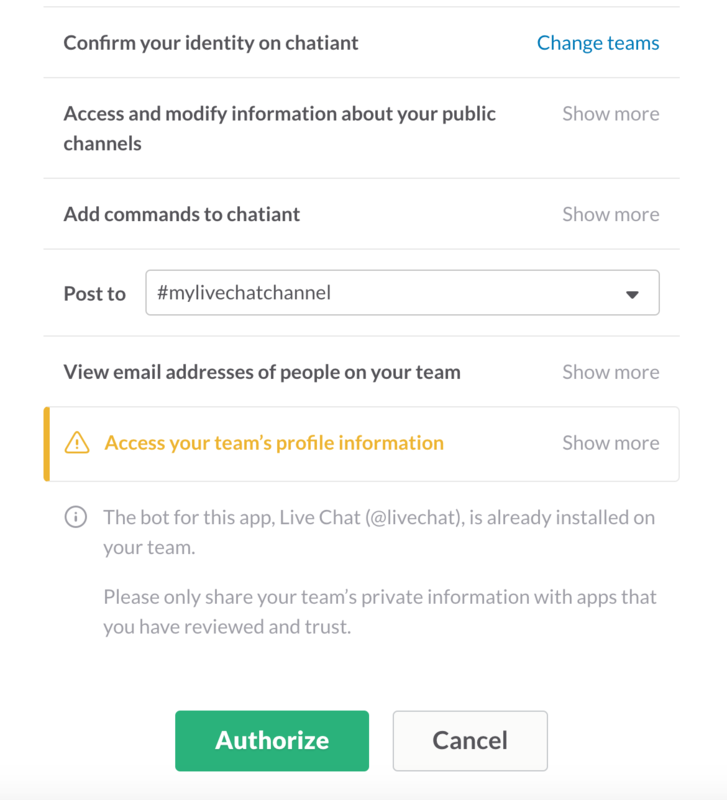 Once a chat is received you can simply click on the link in the request to open a dedicated channel to that specific chat. 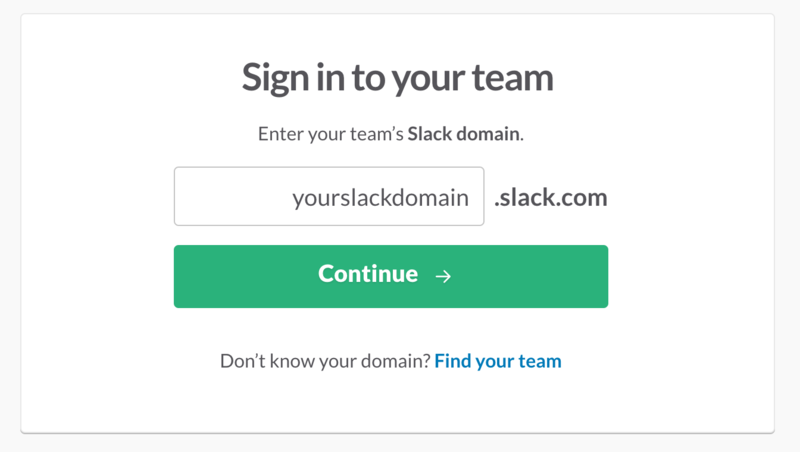 All chats are archived after 12 hours so they don't clutter the left-hand side of Slack. 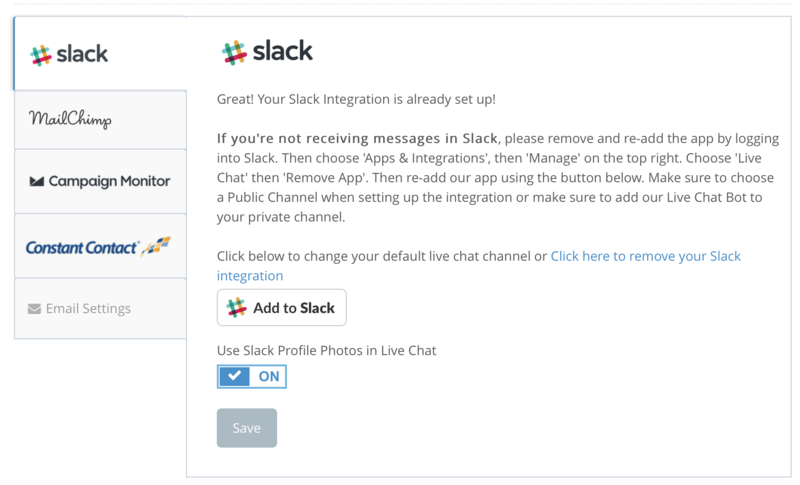 You can add our Slack integration to your existing Live Chat app. If you are typically on your mobile phone, this is a great way to live chat on your phone using the Slack client. /livechat <your shortcut name> - sends your canned message to the client chat.